A lot of men’s grooming products today are made with jojoba oil as its base while all of our premium products are made with golden jojoba oil. You may be asking yourself, “What exactly is Golden Jojoba Oil anyway?” Lets take a closer look at the difference between regular jojoba oil and golden jojoba oil and why we’ve chosen to use Golden Jojoba Oil. First, technically speaking, jojoba oil isn’t really even an oil but rather a wax mixture. It comes from a long-chain of monounsaturated fat esters extracted from the seed or “nut” of the jojoba plant (Simmondsia Chinensis). Jojoba oil only looks like a liquid oil (more like a wax sebum) because it is low in saturated fat and is structurally different from the triglycerides that most other seed oils consist of. Golden jojoba oil, on the other hand, is the pure version of jojoba oil. 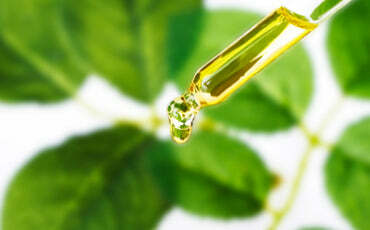 The processed version of jojoba oil is clear and transparent, while Golden Jojoba Oil has a bright, golden yellow color. 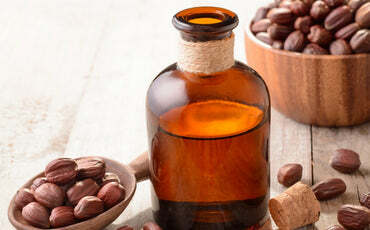 Compared to regular, processed jojoba oil, it can be stored for longer periods of time. It has a higher shelf life because as a liquid, it has a relatively stable state, and unlike most other vegetable-based oils (like coconut oil and grape seed oil), it does not have triglyceride content, thus, it does not oxidize or turn rancid easily. So lucky for you, even though Golden Jojoba Oil or its products are more rarely sold, you can find it in our men’s grooming care products. 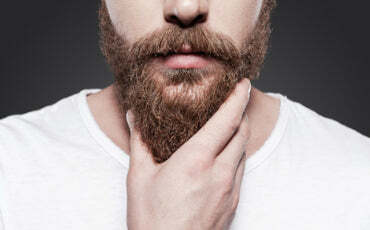 Big City Beards is a top producer of beard oils and beard balms, and we source only the healthiest certified organic ingredients (including organic Golden Jojoba Oil, of course) from only the best suppliers across the globe. Similar to Human Sebum - Since jojoba oil is structurally and chemically similar to natural sebum, in most cases, it acts as a healthy substitute to it along with the added benefits jojoba oil. 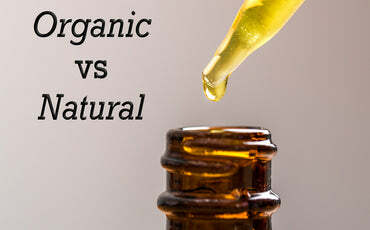 And since jojoba oil is more like a wax than an oil, it does not leave your skin feeling greasy. Fights Damage from Free Radicals - Aside from its vitamin and mineral content, Golden Jojoba Oil also has Antioxidants that help prevent damage from free radicals, the number one contributing cause of chronic diseases and (skin) cancer. Has Antibacterial Effects - Most bacteria (like Staphylococcus aureus) and fungus (including Candida albicans) cannot reproduce when they get into contact with jojoba oil. They just die! In fact, Golden Jojoba Oil is so antibacterial that you can use it as a fungicide for controlling mildew. Yes, it’s that powerful. 100% Safe to Use - Since Golden Jojoba Oil is organic, it is non-comedogenic, non-allergenic, and non-toxic. It does not clog pores (prevents acne) or cause allergic reactions to your scalp or skin. Since it is also non-irritant, you can safely use it around your eyes and lips. It also prevents and even helps treat razor burn! Over all, about ninety-five percent of the jojoba oil in the USA is used in personal grooming and/or health care products for men and women, and now your beard can reap all these wonderful benefits of Golden Jojoba Oil by using our premium products today.